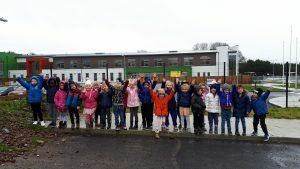 Junior Infants have settled in! 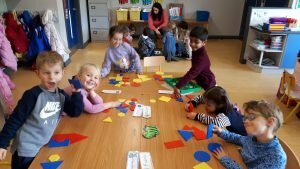 – Midleton Educate Together N.S. Junior Infants have settled in! 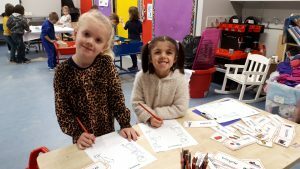 Junior infants have settled in happily to school. 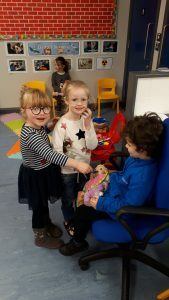 They have made a lot of new friends and are enjoying learning. They especially love when we explore SESE subjects using Aistear. They have enjoyed exploring the themes of Home, Dentist and Winter. We have also made the most of the dry weather and explored the school surroundings. We saw signs of Winter as well as lots of colours and shapes in our environment. 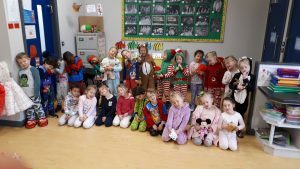 We might have been a little tired before the holidays (see our PJ party photo) but now we are ready to embrace Term 2 and see what adventures are ahead.